In a rare moment of social media accord, it was mostly agreed upon that the Breeders' Cup Classic fields from either 1998 or 2004 were the best not only for the Western Hemisphere's richest race but also in the history of the North American Turf! I'll muddy the waters a little bit and include 2009 in the discussion because of the international flavor of that event and because the most popular horse (Northern Hemisphere) of the 21st century won it. You can click on any of the years above for Brisnet.com Ultimate Past Performances for the races in question (these are the same past performances you'd have seen before the race). For information related to this year's Breeders' Cup World Championships, check out the Brisnet.com Ultimate Breeders' Cup Handicapping Package. There are several ways to distill the quality of a race: Accomplishments of the horses going into it, what they did afterward, and proprietary metrics such as Speed Ratings. I focused on the first and third of these items because races such as the Breeders' Cup Classic are almost always the end of the season for really good horses and sometimes the end of their careers. However, if a horse went on to do something truly spectacular (e.g. Roses In May winning the Dubai World Cup in 2005 or Zenyatta Horse of the Year in 2010) then I considered it. 1998: Arch (1), Awesome Again (1), Coronado's Quest (2), Gentlemen (3), Swain (3), Touch Gold (2), Victory Gallop (1), Skip Away (7), and Silver Charm (4). Nine of 10 starters were Grade 1 winners. 2004: Azeri (4), Birdstone (2), Funny Cide (3), Ghostzapper (2), Perfect Drift (1), Personal Rush (1), Pleasantly Perfect (2), & Roses In May (1). Eight of 13 starters were Grade 1 winners. 2009: Colonel John (2), Einstein (2), Gio Ponti (4), Mine That Bird (1), Richards Kid (1), Rip Van Winkle (2), Summer Bird (3), Twice Over (1), & Zenyatta (7). Nine of 12 starters were Grade 1 winners (Quality Road scratched; he'd have made it ten of 13). I think 1998 wins this tale of the tape since 9/10 is an imposing fraction, and a glance at those names basically defines Thoroughbred racing in the late 90s, but there are some wrinkles to the numbers that could swing the conversation in favor of 2004. Of those nine Grade 1 winners in the 1998 field only Swain was entering the race off a Grade (Group) 1 win. I.e., no American horse entered the 1998 Breeders' Cup Classic off a Grade 1 win. That's a metric that allows 2004 to compare favorably, as despite having the fewest number of Grade 1 winners of any of the three races (despite the most starters), six of the 2004 entrants entered off a Grade 1 win. For 2009, four horses came in off a Grade 1 win. Could Brisnet.com's proprietary data that measures the strength of a horse's performance give us any clues regarding which race was best? The two numbers I'm most interested in for this purpose are PRIME POWER and CLASS RATINGS. Both ratings are exclusive to Brisnet.com's Ultimate Past Performances and "designer" data files such as MultiCAPS and ALL-Ways. I see Prime Power as being able to tell us how competitive the particular race was while Class Ratings give an indication of the type of competition these horses had been facing when amassing their incredible record. Prime Power unquestionably favors the 1998 Classic as the most competitive race while Class Ratings favors the 2004 Classic field as having the best horses. The 2009 field achieves the bronze in both categories. The average Prime Power score for the 1998 Classic was 161.18 with only 2.2 points separating top-ranked Skip Away (168.8) with second-ranked Silver Cham (166.6); Victory Gallop was in third with 165.9. The 2004 Classic had Ghostzapper on top with a 165.8, but it was 7.3 points back to Funny Cide second with 158.5. Azeri was third with 156.2. Amazingly, that sextet included four Racing Hall of Fame inductees (SA, SC, GZ, & Az), three Horses of the Year (SA, GZ, & Az), and five classic (Triple Crown race) wins. Anyway, Ghostzapper delivered on his 7.3-point advantage (top-ranked Prime Power horses with a 6-point advantage win 46% of the time) while Awesome Again (ranked fourth with 164.4 Prime Power points) won his edition of the Classic. Because Prime Power measures horses against each other for only the race in question, it's difficult to say the 1998 Classic was better with five horses above 163.9 versus just one above that threshold in 2004, but 1998 certainly was more competitive. Class Ratings favor 2004 in that the average Class Rating of the 12 horses who had such ratings (Japense Group 1 winner Personal Rush had no Class Ratings) was 124.25 in their last start and 123.37 in their last three starts. The 1998 field had an average of 123.59 in its last start and 123.05 in its last three starts. When comparing the top ten Class Ratings in the 2004 field to the ten-horse 1998 field the difference is 124.01 to 123.05, and when it comes to Class Ratings, a point is legitimate. So what conclusion do *I* draw from all this? Well, I'm going to hedge my bets and say that going into the race the 1998 Classic had more star power at the top of the game while after the fact the 2004 looks better because of Ghostzapper's tour de force and that I'd rank him as the best of all 23 starters in the 1998 and 2004 Classics. Want to read more about great Breeders' Cup history? Check out the Blood Horse's "30 years in 30 days" series. 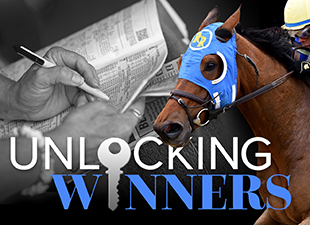 And if takling great horses has you angling to handicap great horses, get a jump start on your 2013 Breeders' Cup handicapping with the Brisnet.com Ultimate Breeders' Cup Handicapping Package!